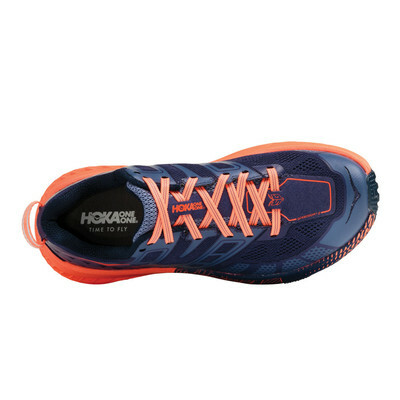 This shoe is designed to attack all breeds of technical trail with this bold, fully redesigned iteration, Hoka have improved the fit, stability, and durability. "Trainers are perfect for me. Great selection available and reasonably priced." "Great value great customer service. Arrived following day." The upper uses an overlay Cage that is strategically placed across the midfoot. This feature helps to lock the foot down in the shoe to keep it securely in place and to offer a stable and supportive fit. Open Mesh Panels have been placed across the shoes upper, allowing cool air to flow into the shoe at the same time as releasing warmer air, creating a cool and dry environment for the foot. Additionally, A Reinforced Speedframe construction has been chosen for the Speedgoat 2 which allows the shoe to offer much-needed support to the foot and durability to the shoe, protecting both from possible damage that the shoe may encounter along the trail. A Pull Tab has been added to the heel of the shoe which will allow the wearer to put the shoe on and take it off quickly and smoothly while the Heel Collar and Tongue on this shoe are made with soft fabric and plush cushioning, allowing these key areas to sit against the skin smoothly and without causing discomfort. EVA Foam has been chosen to construct the midsole of the SpeedGoat 2. 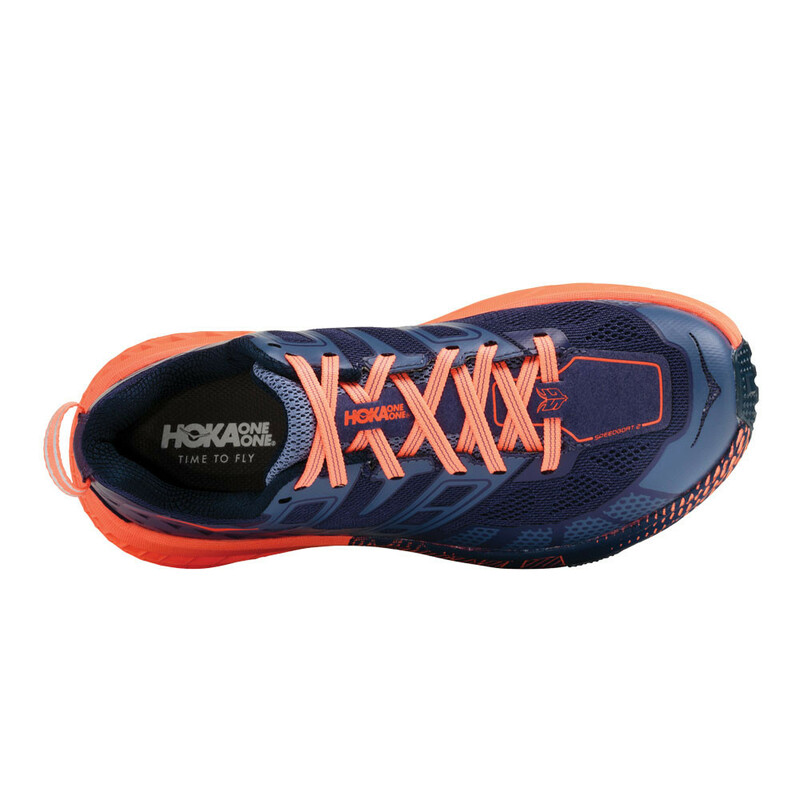 This material was specifically chosen as it provides lightweight cushioning which helps to keep the wearer's feet as comfortable and supportive as possible. The light EVA is also ideal for this running shoe as it prevents the wearer from feeling weighed down and will keep the wearer feeling light and quick on their feet. Another type of foam used to create the midsole is CMEVA. This material helps the midsole to absorb impact in key areas of the shoe and helps to stabilise the foot to keep the wearer firmly on their feet. The Vibram MegaGrip that has been used to construct this outsole is a high-performance rubber compound that features unparalleled grip on wet and dry surfaces, rugged longevity and optimal ground adaptability. 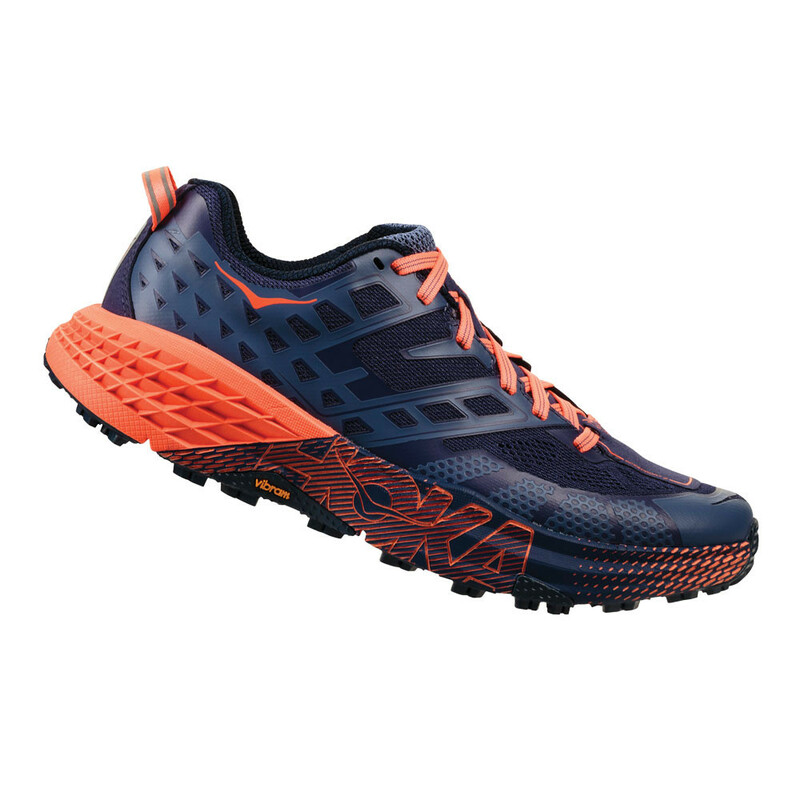 This also made it the perfect material for trail shoes that have been designed to tackle the toughest, most technical terrain. 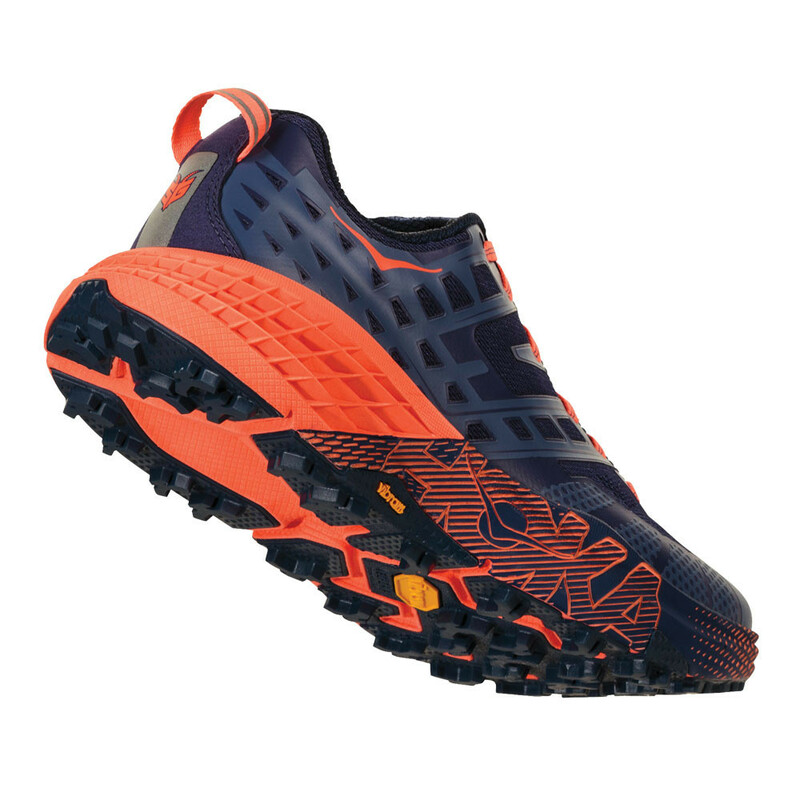 The Multidirectional lugs that are added across the outsole have been strategically placed to help the shoe to offer supreme grip on varied terrain. 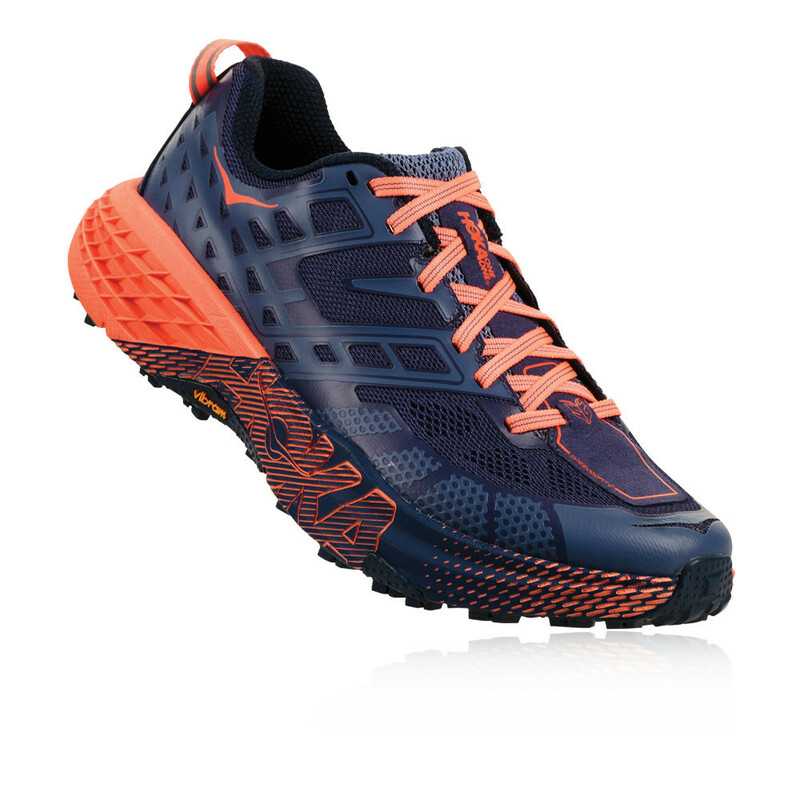 Caged Midfoot - Designed for stability and lockdown. 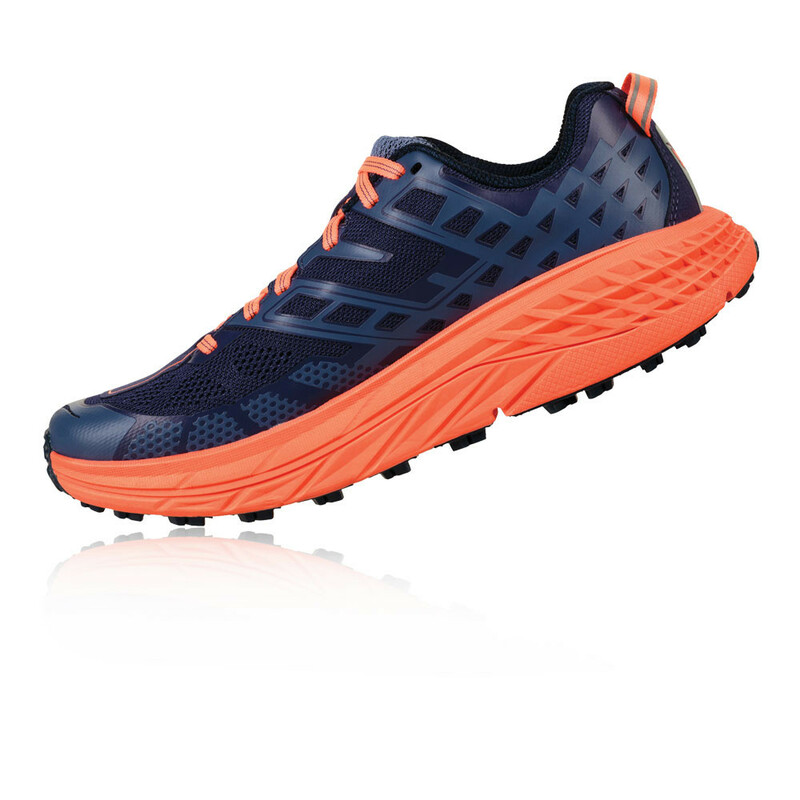 Open Mesh Panels - Provides excellent comfort and breathability. Reinforced Speedframe - For stability and durability. Pull Tab Heel - Aiding the quick on-and-off action with the shoe. Oversized EVA Foam - Superbly plush and lightweight cushioning. 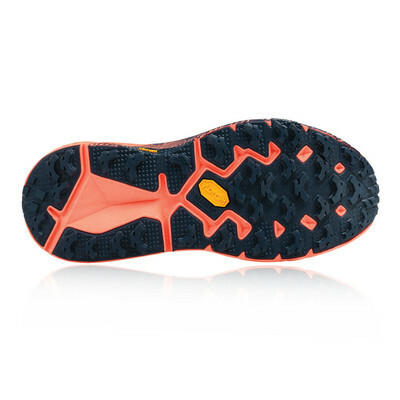 Vibram MegaGrip - High-performance, durable rubber. Multi-Directional Lugs - For supreme grip on varied terrain.